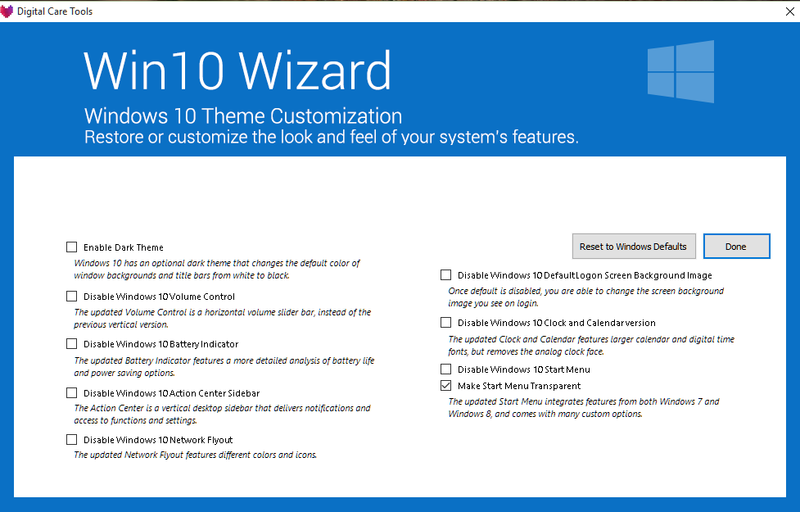 Windows 10 settings can be customized with the help of Windows 10 Wizard. 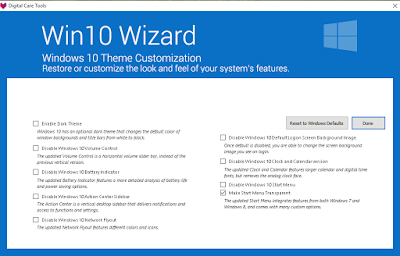 Windows 10 comes with many new features with improvements from its previous versions. You can do many tweaks to improve your Windows performance. But for novice users, it might be a tough work to play with Registry. These moderations will be done with changes in registry files. 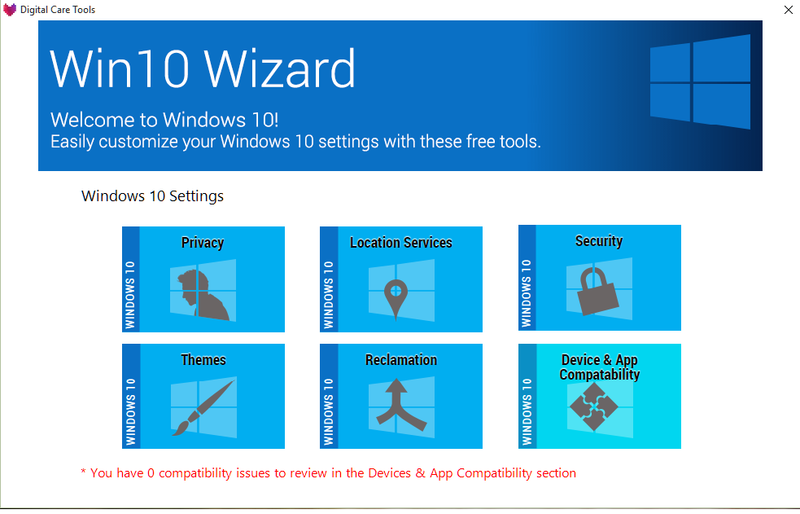 Thanks to Windows 10 Wizard that makes it child play for new users also. 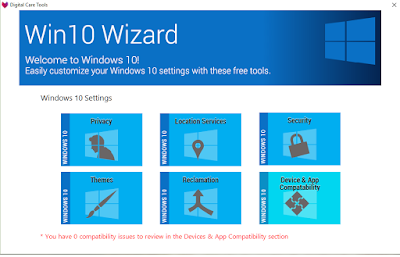 Windows 10 Wizard is available free of cost on the Internet. 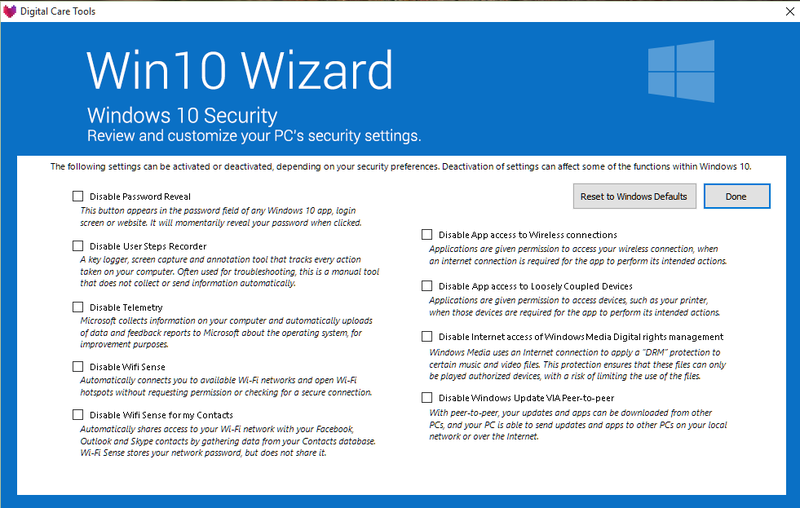 This software is an all-in-one configuration tool for Windows 10. 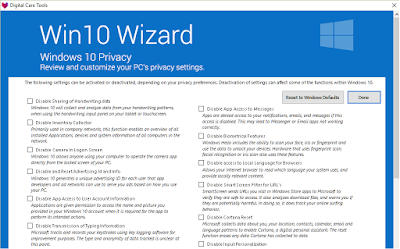 You can tweak various privacy and security settings those are not easily accessible from standard Windows 10 settings with the help of Windows 10 Wizard. 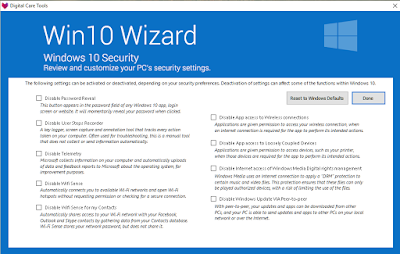 The Windows 10 Wizard can be useful in customizing following settings: Privacy, Location services, Security, Themes, Reclamation and Device and App compatibility. 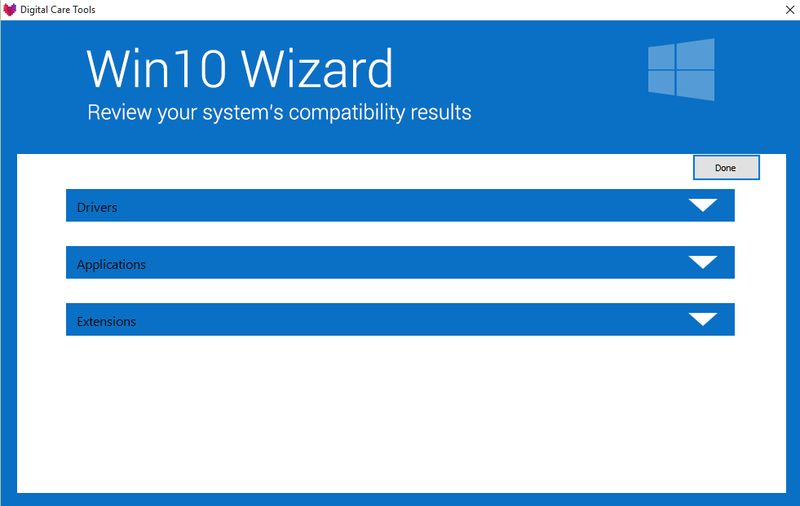 You can check for windows 10 upgrades with the help of Windows 10 Wizard. Issues related to drivers, applications and extensions can also be checked. 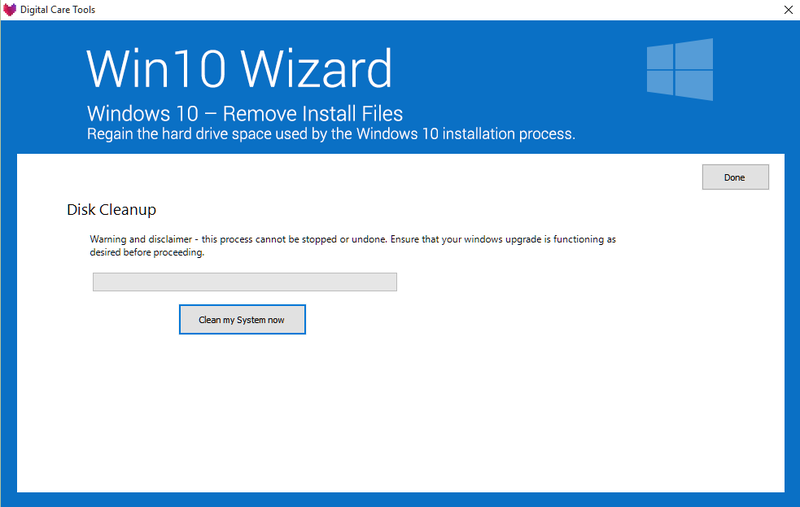 You can reclaim your hard disk space after you have upgraded from Windows 7/8 to Windows 10. 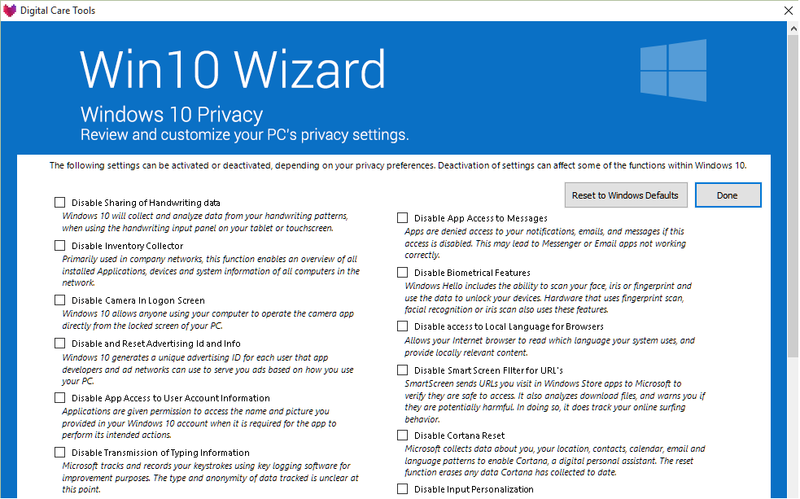 Windows 10 Wizard allows us to customize biometrics, sharing of data, Cortana data collection, app access to the camera, location services, and other features that may be related to security and privacy issues. If you are not running the latest built of Windows 10 then you can enable Dark theme. 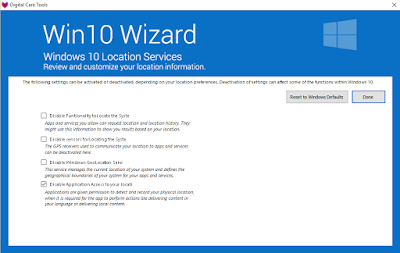 The following settings can be activated and deactivated, depending on your privacy preferences. 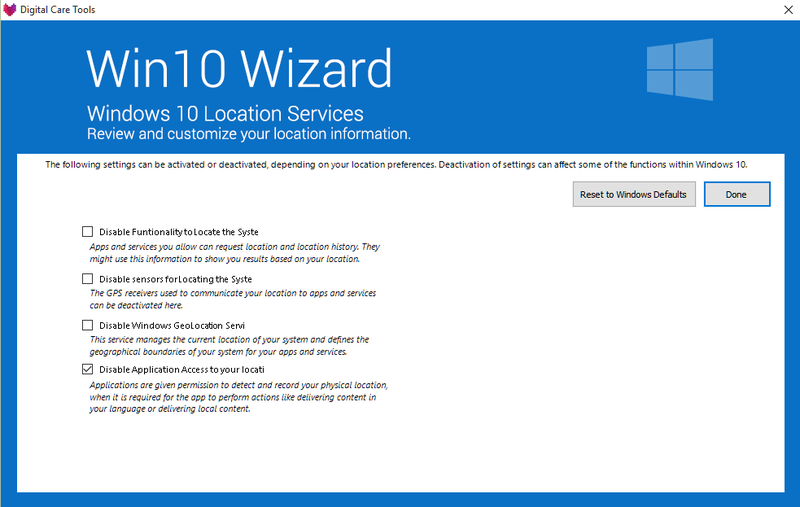 Deactivation of settings can affect some of the functions of your Windows 10. 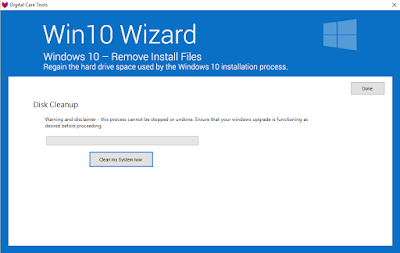 You can clean up your Hard Disk by running Disk Cleanup Tool. But one thing keeps in your mind that, this process cannot be stopped and undone. Ensure that your windows upgrade is functioning as desired before proceeding. Here you can review your System’s compatibility results. You can find out which drivers not installed, which applications were removed and if any extension were re-associated.